I've been sort of addicted to dry shampoo. I remember when I first tried dry shampoo, I thought to myself, there was no way this thing worked. It must've been just another marketing gimmick. Lo and behold, fast forward 2 years later, I've been relying on dry shampoo for controlling the oil on my head. I know it sounds strange, but it really does the job! It seems that I've been washing my hair less frequently than I used to. A little bit TMI, I know. I've been washing my hair out of a must rather than something I enjoy. It just seems I've been rushing day in and day out, and it's just difficult for me to spare more time in the shower. Don't get me wrong. I still wash my hair, but dry shampoo helps making my third-day hair looking like first-day, and I'm serious. My hair used to look so flat and unattractive at the end of day two. Not only that, I just felt so gross that I always needed to wash my hair by the end of the day no matter how late it was. Ever since dry shampoo came to my life, I manage to prolong the "freshness" of my hair for a little bit. Dry shampoo not only absorbs oil from my scalp, but it also gives a bit of volume and texture to my hair. 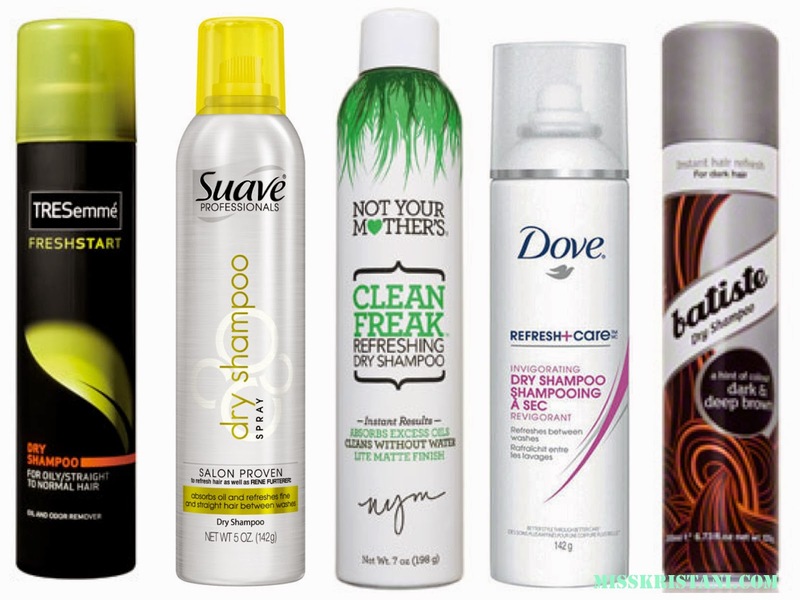 Here are all dry shampoos brand I have tried and my take on each, from my least to most favorite. This is why I thought dry shampoo was just a marketing gimmick. This is exactly what this does to me. Nothing. It does smell good, but other than that I don't see it absorbing any oil nor giving me volume. It smells citrusy, which is always good for a refresher. I doesn't do much for my hair other than keeping it smells nice and fresh. I find that I need to use more spray/ "touch up" with this one to help keep the oil on my scalp at bay through out the day. I like this one just as much as I like Dove's. It absorbs and volumizes. It does the job. All in all, it is a good one. Nothing more I can really say about this one. First of all, I really like the packaging. It looks clean and sophisticated and fancy. It smells refreshing, just like most dry shampoos do. It gives volume, it helps my hair looking good until day three. I would say Batiste dry shampoo is worth the hype. Although it is more pricey than the others, I find that I can skip washing my hair even until day 4 when I was really lazy - it doesn't happen often, though. I'm not saying you can skip washing your hair, but when you have to this bad boy does the trick. I give it another plus for having various scent/type/color variety. One thing to keep in mind is Batiste dry shampoos leave residue. I've tried two different ones, one the original, which leaves white residue like most do, and the one for brunette which leaves brownish residue. You need to be careful to work in those residue into your hair do it doesn't show up like dandruff. Have you tried any good dry shampoo lately? I probably use dry shampoo every day lol. Oh the Tresemme was really bad on my hair. :( It made my hair feel really disgusting, like it added oil. My most recent favorite is the Garnier one! It's a very fine powder and blends in very well. I bet you'd like it!